It is always nice to see you at our events, and we would like to have this pleasure more often! 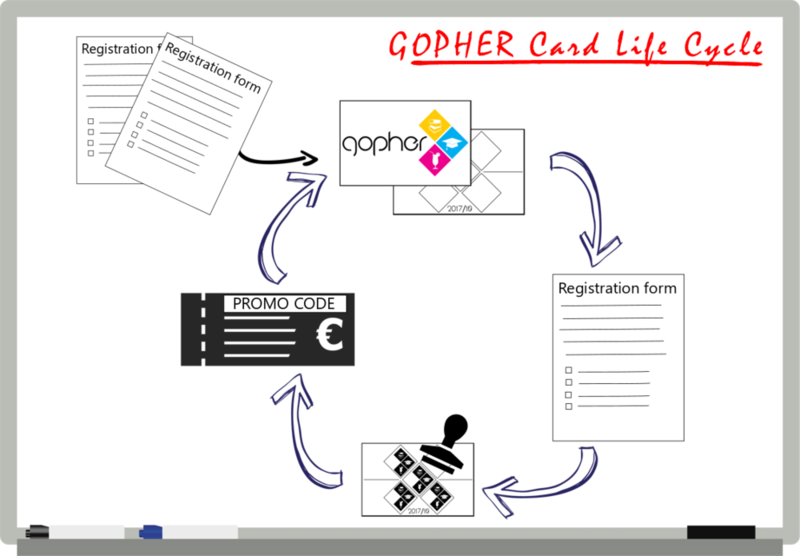 This year we introduce a special gift for those PhDs who really enjoy participating in our activities: GOPHER cards. 1) Register for our events and attend them. 2) At your second event we will give you your own personal GOPHER card and put the first stamp on it. 3) Keep signing up for and participating in GOPHER activities to collect stamps. 4) As soon as you have 5 stamps, you will receive a promocode (= €3 discount for any of our events) and a new card. NB: you will only get stamps during the events with prior registration. These do not include VrijMiBo, Sunday Board Games, and Halloween Party.